In addition to some of the more familiar heroes in American history — Washington, Jefferson, Lincoln — we’d like to propose a figure that at first blush might seem an odd fit. 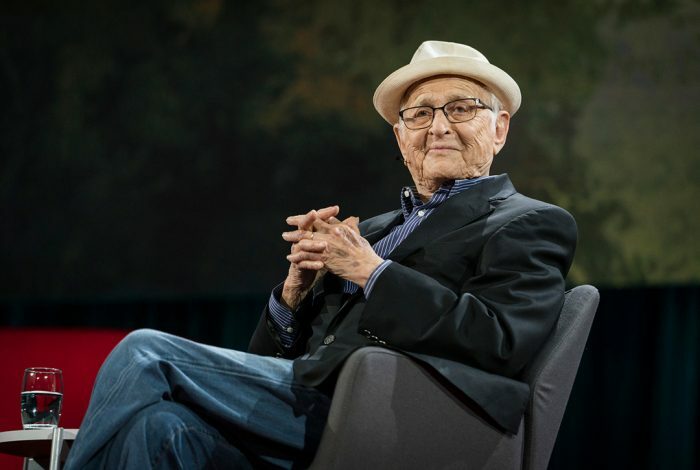 Norman Lear never led America into war. Instead, he made television shows that changed the way Americans viewed themselves and their society, both the good and the bad, including racial bigotry and the Vietnam War. In his signature shows — “All in the Family,” “Maude,” “Sanford and Son,” “The Jeffersons,” “One Day at a Time,” “America 2-Night” — he brought to life memorable, three-dimensional characters who dealt with issues that were taboo on television at the time. His most famous creation, the blustery, misspoken Archie Bunker, saw something wrong with just about everyone else — while insisting that America itself was perfect, and that the flag, and the military, and war itself, could not be questioned. Lear worried a lot about where America was headed, and so, after television, he became a citizen activist. 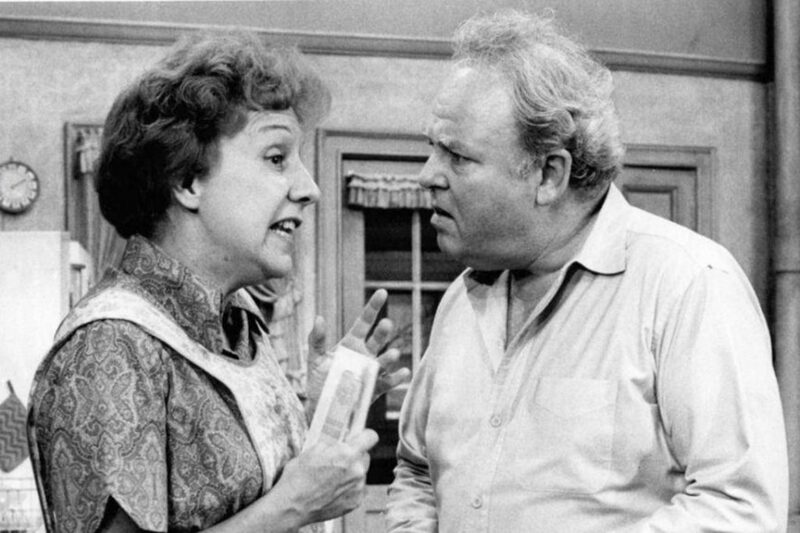 Jean Stapleton and Carroll O’Connor as Archie and Edith Bunker from the television program All In the Family, September 3, 1974. Photo credit: CBS Television / Wikimedia. He founded the nonprofit, People for the American Way (PFAW), to retake the notion of what it meant to be a loyal American from the extreme fundamentalists and belligerent warmongers who increasingly dominated the American narrative. At 94, still working on his own version of how to “make America great again,” he asks some provocative questions about the Military-Industrial Complex, which has continued to grow like a strangling weed around democracy. Today, on the 56th anniversary of former General and President Dwight Eisenhower’s unprecedented warning about the threat of uncontrolled militarism, Lear’s call to action has never been more timely. We’re pleased to have Norman as a reader and supporter of WhoWhatWhy. –Introduction by Russ Baker, Editor in Chief. I have a WHY for you. And a bit of a challenge, too. First, a bit of biography: I served in the 15th Air Force in WW II, in a B-17 bomber, out of Foggia, Italy. For about half my tour of duty we were on a mission basis, but some targets were so distant that we were credited with two missions when we flew them. There were times when we reached the target but couldn’t drop our bombs because of inclement weather. Still, having gone the distance and survived the flack from below and the fighter attacks in the air, we were credited with a completed mission. At 50 missions an airman’s tour of duty was complete and he was sent home. At some point in my tour the Air Force decided to jettison its mission basis, and we were suddenly flying sorties instead. A sortie was every time we dropped bombs. No matter how distant the target, how long the flight, we were credited with a sortie only when we dropped our bombs on a target. A man’s tour of duty was complete when he’d flown 35 sorties. When my tour was completed I’d flown 35 sorties — or, to use the earlier terminology, 52 missions. Of course, when asked today how to describe my service, good American that I am, I always quote the larger figure. “I flew 52 missions,” I reply. 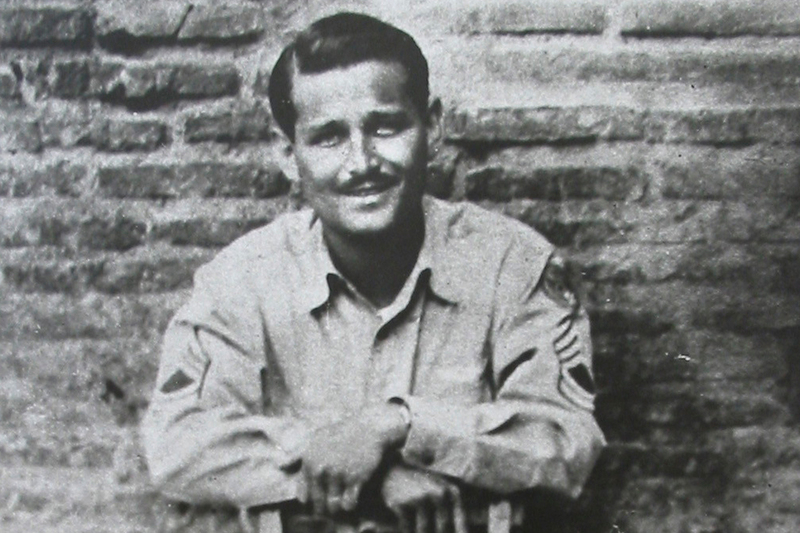 Norman Lear in Air Force uniform. Photo credit: With permission from Norman Lear. Now to the WHY question I have for Who What Why: As I come to it I ask myself — why all the above? My question is about Dwight David Eisenhower, the Five Star General who led all the Allied Forces in WWII, and who later became a two-term Republican President of the United States. I guess I wrote about my service to establish a connection between myself and the Ike I liked under whom I served. A year and a half or so ago there were 17 individuals contesting to become the Republican candidate for the Presidency, the office that President-Elect Donald Trump will soon hold. Question: WHY IN ALL THAT TIME, WITH AS MANY AS 17 MEN AND WOMEN SEEKING TO SELL THEIR REPUBLICAN SELVES TO LIKE-MINDED VOTERS CRYING FOR LEADERSHIP, DID NOT ONE OF THEM INVOKE THE NAME OR THE MEMORY OF OUR FIVE STAR WORLD WAR II COMMANDING GENERAL AND TWO-TERM PRESIDENT OF THESE UNITED STATES, DWIGHT DAVID EISENHOWER? That’s my question. And my challenge to WHO WHAT WHY and all of its readers and followers: Can anyone out there come up with or point to any speech, article or public utterance that could be called evidence to suggest that any Republican seeking public office anywhere has invoked the name and/or memory of Ike Eisenhower? And if, as I suspect, that evidence cannot be found — especially among the thousands of speeches, millions upon millions of words, spoken by the seventeen that morphed into our president-elect — WHY? Readers: for some perspective on this, you can read Ike’s speech, here. And then, in the Comments space, feel free to offer your answers to the question Norman posed. First, I should like to express my gratitude to the radio and television networks for the opportunities they have given me, over the years, to bring reports and messages to our nation. My special thanks go to them for the opportunity of addressing you this evening. Throughout America’s adventure in free government, our basic purposes have been to keep the peace; to foster progress in human achievement, and to enhance liberty, dignity and integrity among peoples and among nations. To strive for less would be unworthy of a free and religious people. Any failure traceable to arrogance, or our lack of comprehension or readiness to sacrifice would inflict upon us grievous hurt both at home and abroad. Progress toward these noble goals is persistently threatened by the conflict now engulfing the world. It commands our whole attention, absorbs our very beings. We face a hostile ideology—global in scope, atheistic in character, ruthless in purpose, and insidious in method. Unhappily the danger it poses promises to be of indefinite duration. To meet it successfully, there is called for, not so much the emotional and transitory sacrifices of crisis, but rather those which enable us to carry forward steadily, surely, and without complaint the burdens of a prolonged and complex struggle—with liberty the stake. Only thus shall we remain, despite every provocation, on our charted course toward permanent peace and human betterment. Crises there will continue to be. In meeting them, whether foreign or domestic, great or small, there is a recurring temptation to feel that some spectacular and costly action could become the miraculous solution to all current difficulties. A huge increase in newer elements of our defenses; development of unrealistic programs to cure every ill in agriculture; a dramatic expansion in basic and applied research—these and many other possibilities, each possibly promising in itself, may be suggested as the only way to the road we wish to travel. But each proposal must be weighed in the light of a broader consideration: The need to maintain balance in and among national programs—balance between the private and the public economy, balance between the cost and hoped for advantage—balance between the clearly necessary and the comfortably desirable; balance between our essential requirements as a nation and the duties imposed by the nation upon the individual; balance between actions of the moment and the national welfare of the future. Good judgment seeks balance and progress; lack of it eventually finds imbalance and frustration. The record of many long years stands as proof that our people and their government have, in the main, understood these truths and have responded to them well, in the face of threat and stress. But threats, new in kind or degree, constantly arise. Of these, I mention two only. Until the latest of our world conflicts, the United States had no armaments industry. American makers of plowshares could, with time and as required, make swords as well. But now we can no longer risk emergency improvisation of national defense; we have been compelled to create a permanent armaments industry of vast proportions. Added to this, three and a half million men and women are directly engaged in the defense establishment. We annually spend on military security alone more than the net income of all United States corporations. Now, this conjunction of an immense military establishment and a large arms industry is new in the American experience. The total influence—economic, political, even spiritual—is felt in every city, every State house, every office of the Federal government. We recognize the imperative need for this development. Yet we must not fail to comprehend its grave implications. Our toil, resources and livelihood are all involved; so is the very structure of our society. Disarmament, with mutual honor and confidence, is a continuing imperative. Together we must learn how to compose differences, not with arms, but with intellect and decent purpose. Because this need is so sharp and apparent I confess that I lay down my official responsibilities in this field with a definite sense of disappointment. As one who has witnessed the horror and the lingering sadness of war—as one who knows that another war could utterly destroy this civilization which has been so slowly and painfully built over thousands of years—I wish I could say tonight that a lasting peace is in sight. Now, on Friday noon I am to become a private citizen. I am proud to do so. I look forward to it. 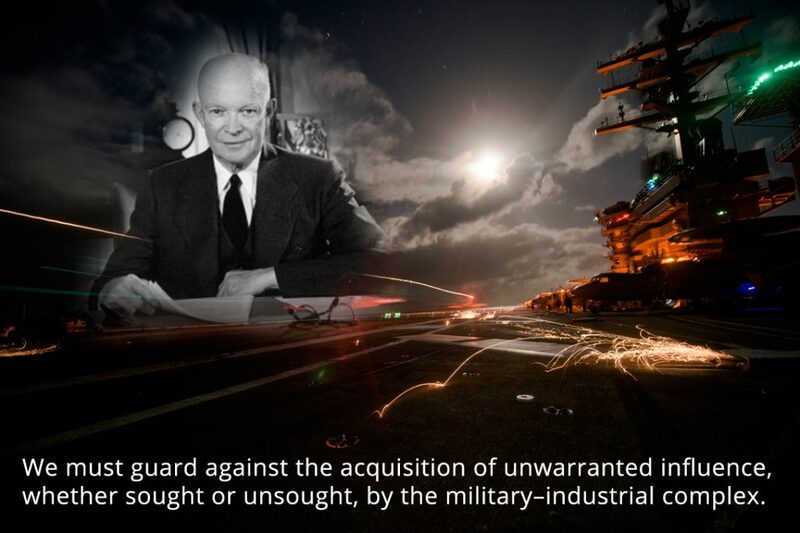 President Eisenhower in the Oval Office, superimposed over USS Dwight D. Eisenhower conducting flight operations. Photo credit: Adapted by WhoWhatWhy from US Navy / Flickr and Dwight D. Eisenhower Library / Wikimedia. On January 18, 2011 the Newseum hosted a panel discussion on the historic and contemporary relevance of President Dwight D. Eisenhower’s famous Farewell Address. Did The Pentagon Retaliate Against An Officer Who Questioned Afghanistan Waste? Related front page panorama photo credit: Adapted by WhoWhatWhy from Norman Lear (Louise Palanker / Flickr – CC BY-SA 2.0).